Here is some dryland corn planted in central Thomas County that has shown these purple symptoms for some time. 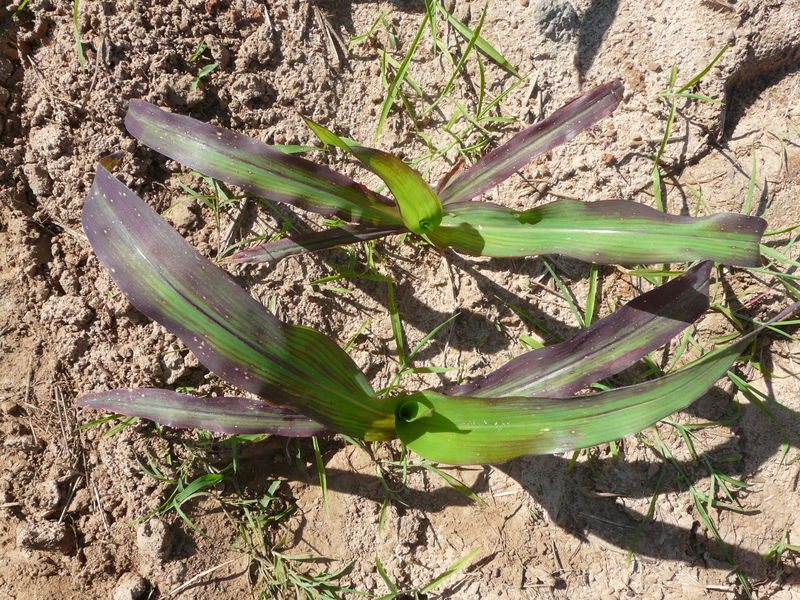 This purple on the outer edges of the leaves is due to a phosphate deficiency. This corn is in the V5 growth stage, and we would normally see these symptoms earlier than now. UGA Extension Fertility Scientist Dr. Glen Harris says symptoms of phosphorus deficiency are different within variety. One variety may show more purpling than another. This field was soil tested and the proper amount of P was put out at planting. Dr. Harris says the cooler temperatures have allowed this to show up. 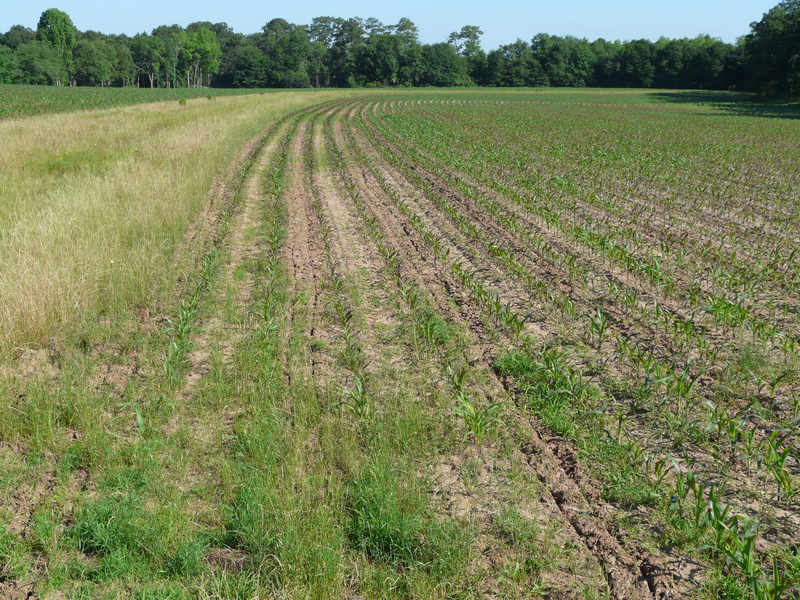 Phosphorus is not soil mobile and is taken up by “root interception.” When soil temperatures drop and roots cease to grow, phosphate deficiency results. If this field had no P at planting, then it would be recommended to apply some 10-34-0. Since P was put out at planting, the corn will grow through this.